Mini specialist garage – repairs, servicing, MOT, PSV. NI Vans are an independent Mini specialist garage, located in Tandragee, Co. Armagh. Our BMW Mini client base reaches far and wide across Northern Ireland and covers both private and business users of the Mini car. Although our main focus of the business is commercial vehicles we also service and maintain Minis to the highest standards using quality oem parts, fluids and lubricants at a fraction of the price from the franchised dealers. Our diagnostic systems easily cover the Mini range of cars and vans from the early R50 year 2000 models right up to present day Mini F generation range. We are centrally located to Armagh, Portadown, Lurgan, Banbridge and Newry. 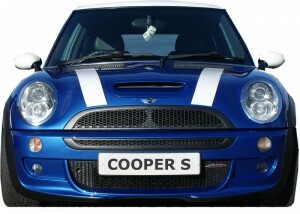 BMW Mini Mini One, Mini Cooper, Mini Cooper S, John Cooper Works, JCW R50, R53, R56, R59, R60, Countryman, Roadster.